Best for Bride recognizes that a good portion of our growth and success is due to our loyal customers like you. Your 'word-of-mouth' advertising to your family, co-workers, friends, and neighbors is invaluable. 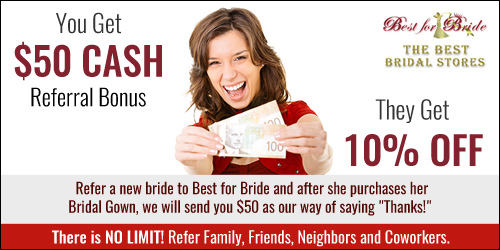 To show our appreciation, you can get a $50.00 Referral Bonus for every new Bride you refer to us. PLUS - THERE IS NO LIMIT to the number of referral bonuses you will get. 1. Print the coupon below and give it to your friend. 2. She will bring the coupon with her when she books an appointment. 3. As soon as she purchases her Bridal Gown, we will send you $50. That's our way of saying "Thanks!" 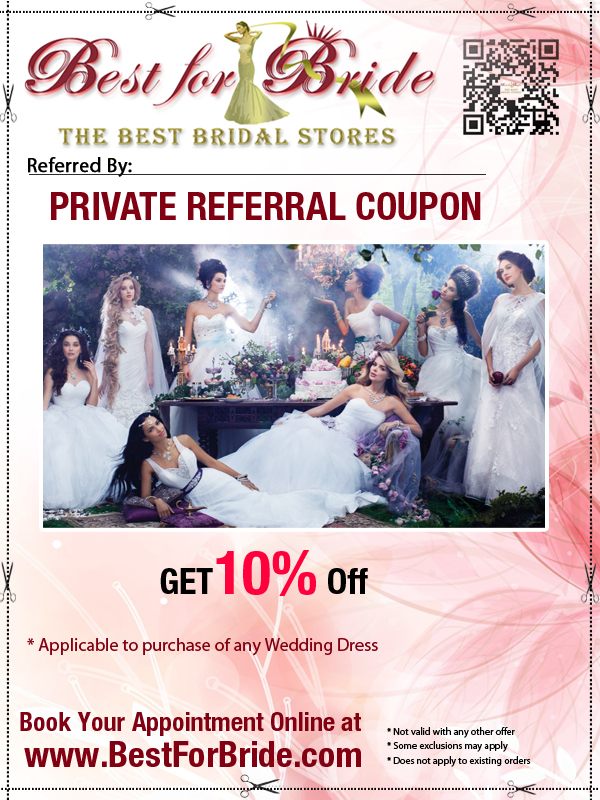 And your referral will be happy with her 10% discount off her Wedding Gown!! !